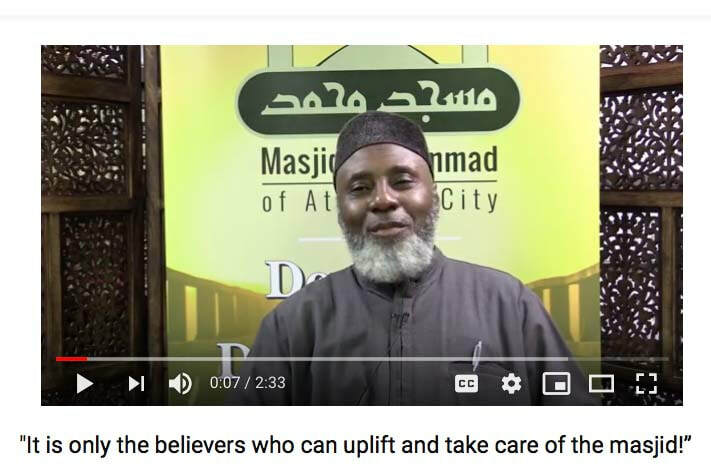 2018 Fundraising Drive - Masjid Muhammad of Atlantic City Inc.
​Masjid Muhammad of Atlantic City appeals for your support during our end-of-the-year fundraising drive. Please help us preserve our legacy of learning, implementing, and spreading Islamic knowledge! Masjid Muhammad of Atlantic City, New Jersey was established in the late 1970’s by African-American Muslims who were exiting the Nation of Islam and learning under the tutelage of Imam Warath Deen Muhammad. Masjid Muhammad was a small, warm learning community whose emphasis was on teaching the Muslim family the ways of Al-Islam. Imam Khairi Shakur, a Muslim cleric from the City of Philadelphia, became the Imam of Masjid Muhammad in the early 1980’s. He was a gentle guide in the Deen, who grew the Islamic community of Atlantic City from a 500 square foot building on Center Street to a 10,000 square foot building at 300 Albany Avenue in the year 2000. Imam Khairi, may Allah have mercy on him, guided the Muslims on their journey to be sincere believers of Allah ta’ala. 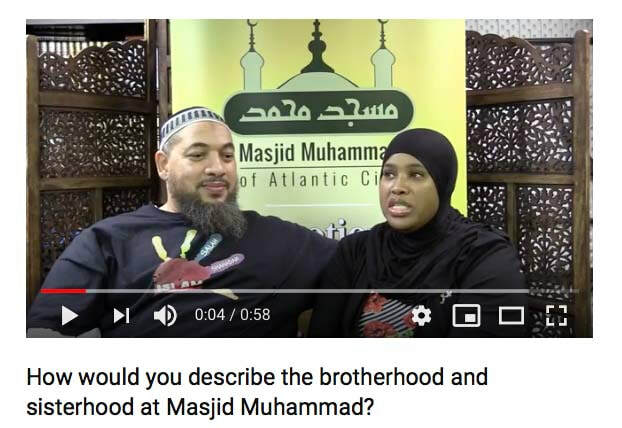 Imam Amin Muhammad, a native of Atlantic City and the assistant Imam of Masjid Muhammad at the time, became the resident Imam of Masjid Muhammad of Atlantic City in 2009. Imam Amin has worked feverishly to teach the members of Masjid Muhammad the way of Ahlus Sunnah wal Jama’ah. He has studied with respected scholars from Egypt, Saudi Arabia, Syria, and Lebanon. Imam Amin has preserved the legacy of Masjid Muhammad by continuing to emphasize the education of the family, which is the backbone of any community. Masjid Muhammad of Atlantic City had been the cradle of Islamic knowledge in Atlantic City for many years. Therefore, the baton to provide the Muslims of Atlantic City with sessions of knowledge was passed from Imam Khairi to Imam Amin. The community of Masjid Muhammad of Atlantic City, and visitors near and far, have been blessed to be taught by world renown scholars in an effort to grow a well-educated Islamic community. However, the imams that serviced the masjid have always struggled to maintain institutional autonomy due to the pressure to sustain financial independence. The residents of Atlantic City who make up the community of Masjid Muhammad are from a hard working class of people. Thus, the destruction left upon Masjid Muhammad by 2012’s Hurricane Sandy was devastating. The masjid endured extensive damage that left it stripped to its bare foundations. Imam Amin and the members diligently fundraised to collect the monies and materials needed to rebuild a brighter and better Islamic center. 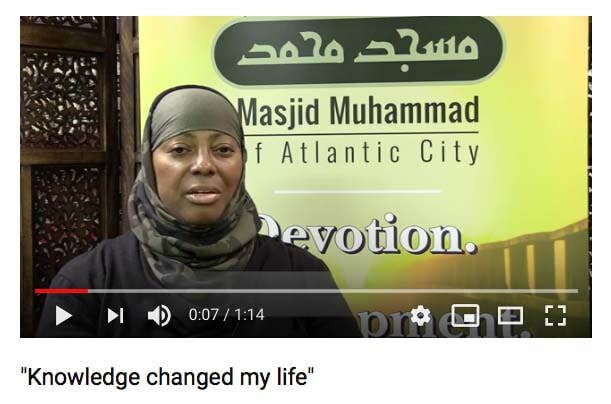 Furthermore, the members of Masjid Muhammad of Atlantic City are adamant about their continuation of spreading Dawah to the community of Atlantic City and further by educating the entire family. Masjid Muhammad has an Islamic weekend school that teaches the children the basic knowledge of Al-Islam. In addition, there are weekly classes held on the books of Imam Al-Haddad and a multitude of free Islamic learning sessions taught by Imam Amin and other teachers. Thus, we are fundraising to preserve the legacy of learning, implementing, and spreading Islamic knowledge through the education of the Muslim family. Please assist by donating to Masjid Muhammad to support its efforts to broaden its reach to educate the Muslim community. Masjid Muhammad intends to use the donations to grow from an Islamic weekend school into a year round Islamic school. Also, Masjid Muhammad is looking forward to continuing the free learning sessions on Islamic knowledge. Last but not least, the Masjid is 90% refurbished from the remnants of Hurricane Sandy. There was massive damage done to the roof and funds are needed to replace it. Therefore, we ask from the hearts of the Ahlus Sunnah wal Jama’ah community of Masjid Muhammad to yours, please assist us in continuing to be a brighter and better Islamic community. Hear from the community members and supporters of Masjid Muhammad!